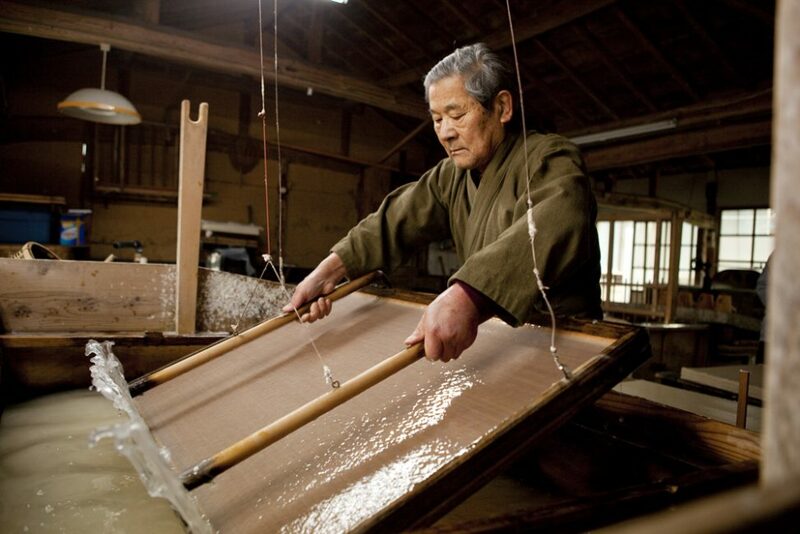 Hon-minoshi, a type of Mino Japanese paper with a history of over 1,300 years, is made from the finest mulberry, meeting stringent requirements such as using traditional fabrication methods and papermaking utensils. We are making every effort to safeguard this traditional technique and pass it down to future generations. The characteristics of hon-minoshi include its elegant white color, softness and durability, and the beauty of its intertwined fibers which is only visible when light shines through it. 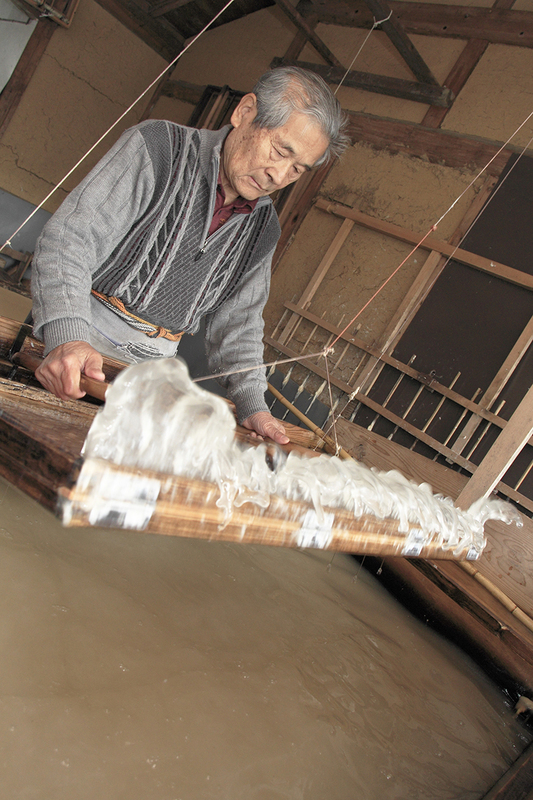 This handmade papermaking technique was added to UNESCO’s Intangible Cultural Heritage list in 2014.